With more than 100 million people watching Vines across the web each month, and over 1 billion loops played every day, Vine has just released an update to the app that finally lets users import video from their camera. Twitter’s video sharing app has always required users to film new content directly within the app, using Vine’s once-unique hold-to-record feature. 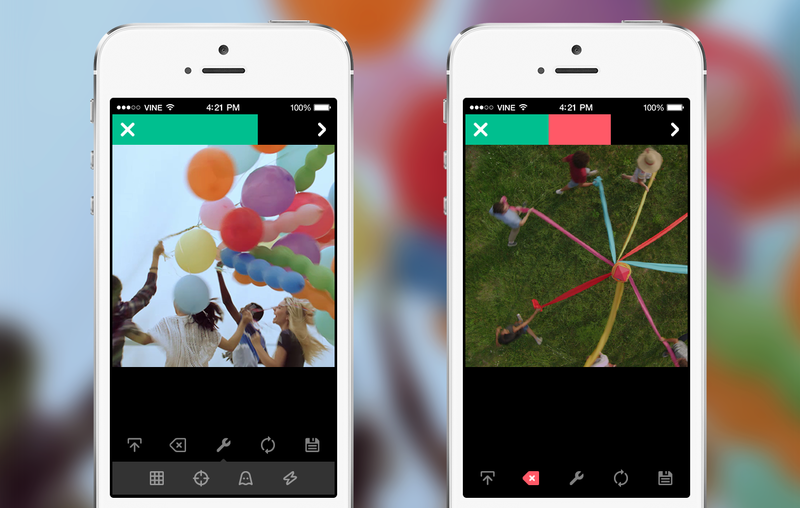 Now, Vine users can import video that they shot on their phone, or video they downloaded from friends or Dropbox, etc. This means that slow motion video from the iPhone will now be supported. When importing videos, users can choose to pull in one full clip, or choose multiple clips to comprise a video that is no longer than six seconds. Beyond the camera roll import, Vine is also revamping the way that the camera works to offer more precision editing tools, including a button to duplicate a clip and a mute button, to knock out the sound. The team also added a preview and undo button, which lets you look at the last clip you filmed and gives you the option to undo it. Both the camera import feature and the ability to delete the last clip shot are available with Instagram Video, which admittedly stole a bit of Vine’s thunder but has yet to reach the same level of creativity or engagement. Existing features like the Grid view, Ghost (which lets you see a transparent view of the last clip shot; great for the stop-motion/animation artists), and the focus lock can all be found under the Wrench icon, alongside a brand new feature. It’s called Torch view, and it helps Viners get the right shot in low-light settings. The update is only available for iOS at the moment, but an Android release is currently in the works.